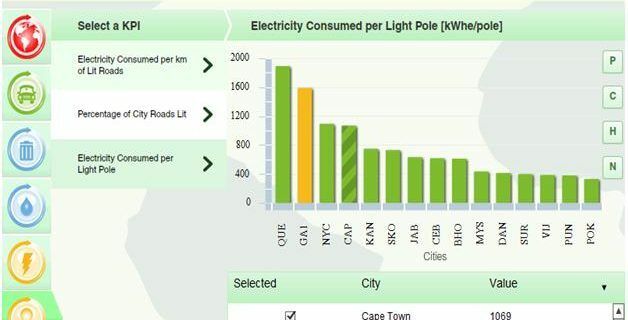 The Tool for Rapid Assessment of City Energy (TRACE) is a decision-support tool designed to help cities quickly identify under-performing sectors, evaluate improvement and cost-saving potential, and prioritize sectors and actions for energy efficiency (EE) intervention. It covers six municipal sectors: passenger transport, municipal buildings, water and waste water, public lighting, solid waste, and power and heat. An intervention selection module which functions like a “playbook” of tried-and-tested EE measures and helps select locally appropriate EE interventions. TRACE is designed with the intention to involve city decision makers in the deployment process. It starts with benchmark data collection, goes through an on-location assessment involving experts and decision makers, and ends with a final report to city authorities with recommendations of EE interventions tailored to the city’s individual context. The tool has been developed by ESMAP (Energy Sector Management Assistance Program) that is a global, multidonor technical assistance trust fund administered by the World Bank and cosponsored by 13 official bilateral donors. TRACE is being updated and will be back online in the spring of 2017. TRACE’s benchmarking module has a database of 28 KPIs collected from 64 cities. The data are entered into the tool using a simple web-like interface and analyzed in order to benchmark city energy use against a range of peer cities. The peer cities may be selected based on city population, climate, and human development index. TRACE’s sector prioritization module uses “relative energy intensity,” “sector energy spending,” and “city authority control” to prioritize sectors with the most significant energy efficiency potential. The “sector spending function” allows the user to enter the total amount of money that the city spends in the sector, and the “city authority control” function allows the user to indicate the amount of control that the city authority has in the sector. The “relative intensity function’ shows the potential energy efficiency improvement the city may realize if it were to match the average of better-performing cities. Based on these functions, TRACE provides the prioritized list of sectors that the city can engage in order to realize potential energy savings. TRACE contains a set of 59 EE interventions which combine a blend of both high level strategic level programs and specific activities that a city can pursue. These recommendations are supported by a database of 191 case studies that link to appropriate resources and tools. Each recommendation is “rated” on three attributes: (a) energy savings potential (b) first cost (c) speed of implementation. The initial appraisal step enables the user to match city capability to the capabilities required to implement each recommendation. City officials can then select from the set of ranked recommendations. The energy savings assessment step allows the user to quantify the potential energy savings using spreadsheets that come with TRACE, and the final review process allows the city authorities to assess the viability of recommendations in order to come up with a final list of actions for prioritized sectors. TRACE has been deployed in twenty seven cities in Africa, Asia, Europe and Central Asia, and Latin America.